When making a letter to someone special, people usually just write it on a plain paper and simply place it inside an envelope. But why settle for less when you can always do it on a greeting card instead? This way, your greeting card is more presentable, more attractive to look at, and is also worth keeping. Unlike plain written letters, greeting cards hold more value because of the presence of a printed design which, by itself, is already a sufficient reason to treasure it. So if you are looking for greeting card designs that you want to use for writing a message to someone, check out what we have on our website. This page contains a whole collection of artistic greeting card designs that you can easily download for your convenience, and are also fully editable to save you the hassle when customizing your greeting card to suit your preferences. This vintage greeting card design is perfect for those who embrace simplicity as well as formality. 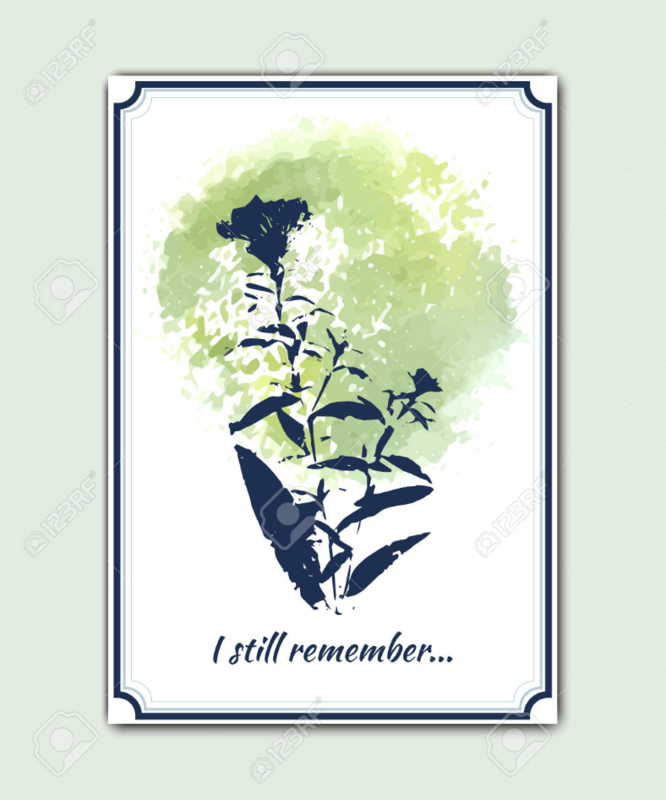 Similar to vintage postcards, this design is also appropriate if your recipient is a highly respected and dignified person. 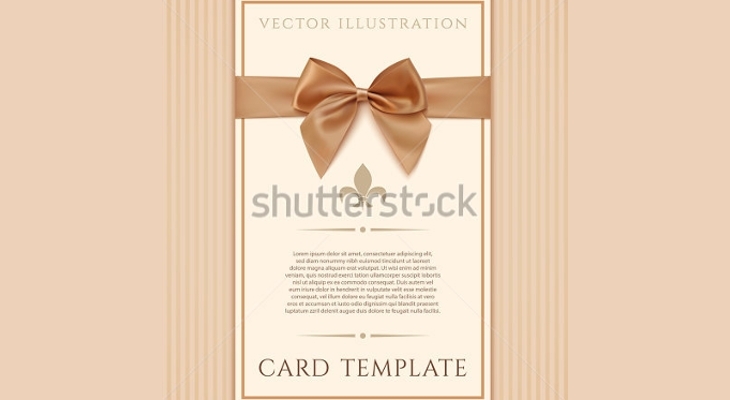 To maintain simplicity of the design, no other fancy feature is added except for the golden bow in the middle, which is there to enhance the sense of appeal of this greeting card design. For this greeting card design, it places emphasis on the floral pattern on the back page of the card. 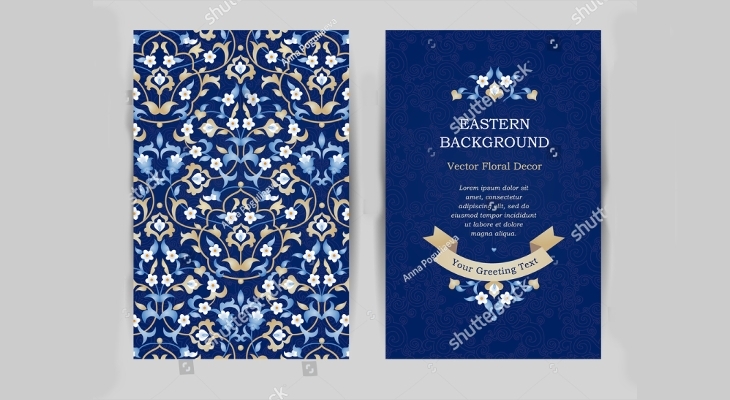 The cover page of this card still bears the floral pattern, but is kept to a minimum to make the reader focus on the text while also providing enough empty space to make it easy on the eyes. For a very straightforward greeting card design that needs no other introduction, this one is the best option for you. 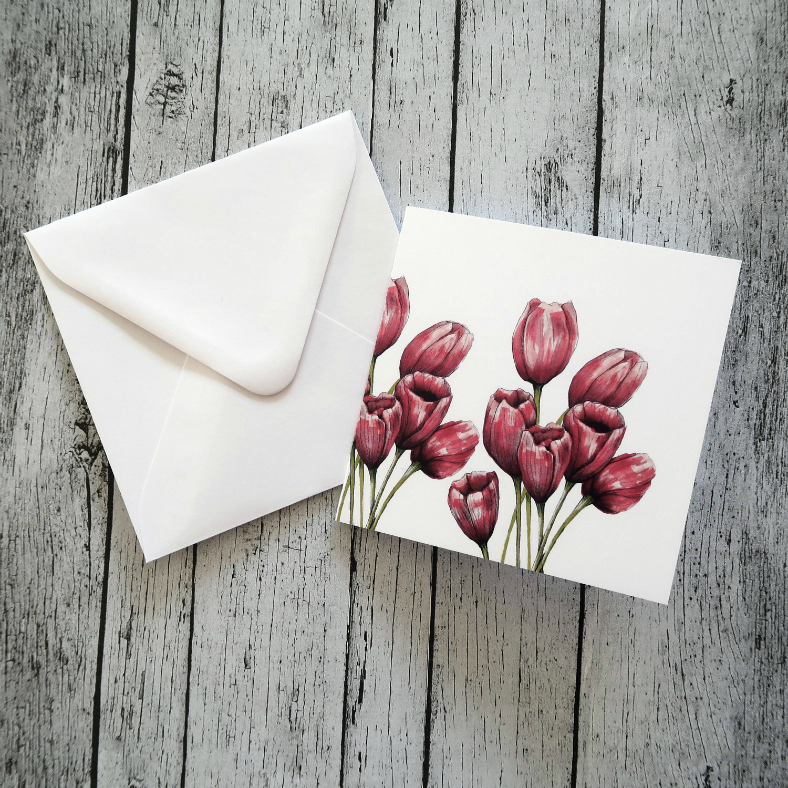 The cover page simply bears an image of pink tulips which is done in a watercolor-like fashion on a solid white background, which leaves you the impression of it being a handmade card. This way, the reader’s focus is on the written personalized message while also maintaining its creativity and appeal. 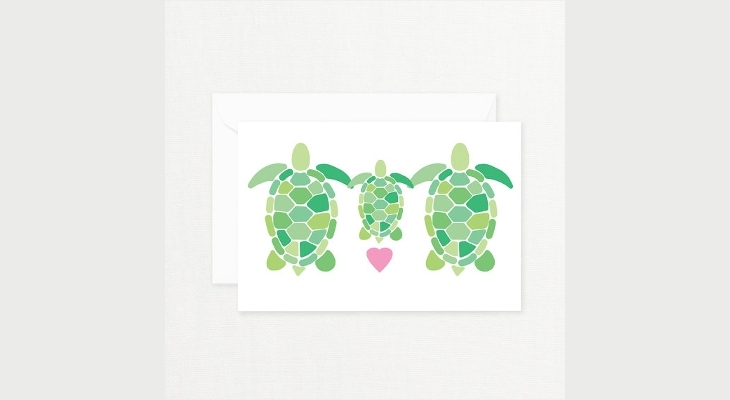 Take a look at this cute greeting card design, it shows us a family of turtles holding each other’s hand. 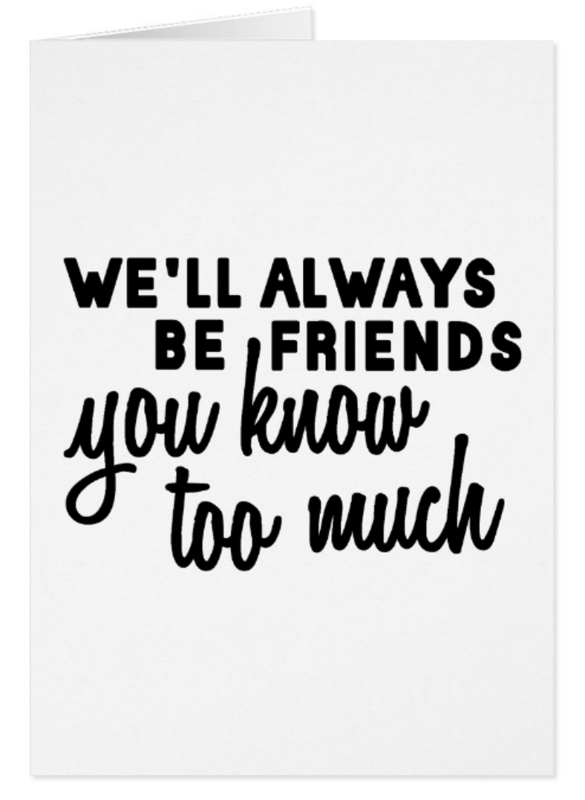 This greeting card is perfect if you plan on sending well wishes not only to a single person, but to an entire family. 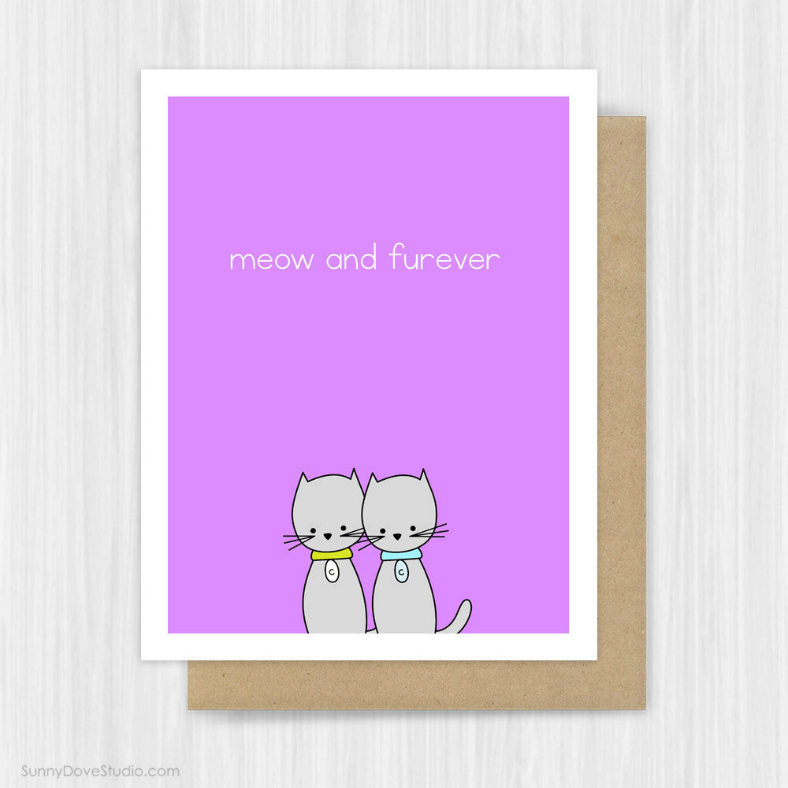 Add some hilarity to your greeting card by using this design. 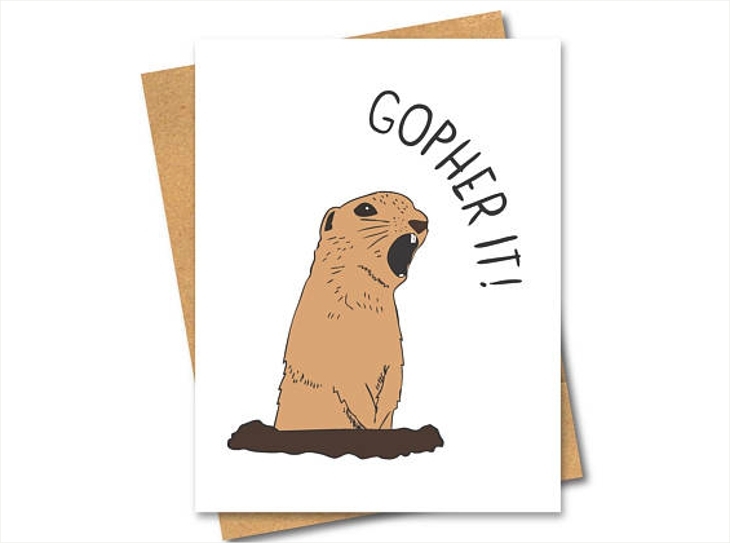 This is a great choice if your intention is to send a motivational or inspirational message to someone, and you want them to “gopher it” with an added touch of humor. Another form of greeting card that contains positive messages are holiday cards, which you can usually see during the Christmas season. In contrast to modern postcards, this one bears a minimalist design which is ideal for those who prefer simplicity over fanciness. This one leans more towards the typography, which makes the reader focus on the message written. This design also maximizes the use of white space, which makes the entirety of the design pleasing yet easy on the eyes. If you prefer abstract art, then this card design is for you. This greeting card bears an abstract image of a wild flower with a short message below it. While this greeting card makes use of abstract art, you can still see how simple it looks as a whole because of the limited colors used as well as the scale of the abstract image. No matter how simple a greeting card is, the only thing that matters from it is the personalized message written and the effort made in preparing the greeting card. Greeting cards will always be considered as a tangible source of memories that can be kept for as long as possible. Are you now convinced of how meaningful greeting cards are? Express how you feel, send a motivational message, or simply wish someone well through writing. Start choosing from among our selection of the best greeting cards and download the design that you love.